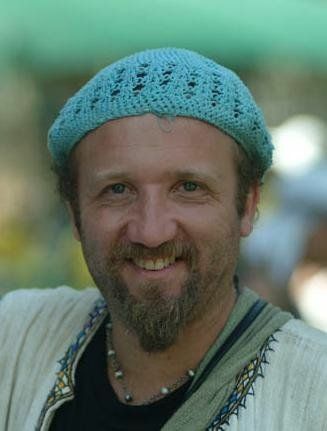 Co - Founder & Director Of The Sulha Peace Project for 8 years. a grassroots organization, inspired by the indigenous process of mediation (Sulha), aims to rebuild trust, restore dignity and move beyond the political agenda. Working primarily on the grassroots level, preparing people for peace from "bottom-up" and complementing peacemaking efforts that are undertaken at the governmental and diplomatic level. Three days, we bring together people -Palestinians, Israelis, Arabs & Jews from all ages & all walks of life to learn and experience together each other's stories, pains and hopes and to celebrate peace and reconciliation. A four-day camp for Eighty Arab Palestinian & Jewish Youth. The gatherings take place in a secluded space. Nature plays a big part in breaking the ice and serves as a catalyst for bonding between participants. Ongoing in-depth study and exploration of new methods of peacemaking by thirty core activists of Sulha's different program, Sulha family meetings served as an opportunity for stuff and activists to bond, gain skills and create our peacemaking community. Participants learn about conflict resolution with an innovative, experimental approach, and acquire simple, yet effective tools to use in their everyday lifes. Our new peace language developed throughout the years, since our first On the Way to Sulha gathering in 2001. Its grassroots methodology is expressed through listening circles, multicultural workshops, interfaith rituals & celebration through the arts, all led by trained facilitators. A broad cross-section of Israeli and Palestinian society including: Muslims, Christians, Jews, Druze, Bedouin, academics, peacemakers, spiritual activists, children, artists, professionals, elders, clergy, educators, secular and religious. Anyone who feels the need to take responsibility to facilitate the coexistence and healing of the Children of Abraham in the Holy Land, at the heart level, is welcome. The creation of Sulha Peace Project can be traced to the spiritual itinerary of our co-founder Gabriel Meyer and the peace visions and experience of Sulha mediator and co-founder Elias Jabbour. Gabriel's vision was inspired by several cross-cultural projects in which he was involved in: Metatron - collective interfaith ritual theater group, an interfaith Palestinian/ Israeli tour in the USA, culminating in the U.N. Millennium Spiritual Summit, The Peace Vigil in the Old city of Jerusalem and finally at the interfaith International Peacemaker Community encounter in Tantur Monastery ( Jerusalem , 2000) where the first seed vision of "Sulha" was born. The goal was to "universalize" responsibility for the healing of one of the most excruciating epicenters of conflict and pain: Jerusalem...... reminding The Holy City of her true destiny: the inheritance of Peace. Because Gabriel Meyer lived in the Galilee, it was only natural that the journey would start there, close to his home. He reached out to peacemaking elder Elias Jabbour - founder of The House of Hope in Shefaram & author of the book: Sulha - Towards a Palestinian Way of Peacemaking, son of the well respected Sulha mediator, Galilean elder and mayor of Shefaram for many years: Jabbour Jabbour. About The first "Sulha Day" gathering Gabriel recalls:"I was Elias Jabbour's guest at his home in Shfaraam I just called him up on the phone from a peacemakers' phonebook list, introduced myself and he invited me over. We connected right away, despite the age difference. 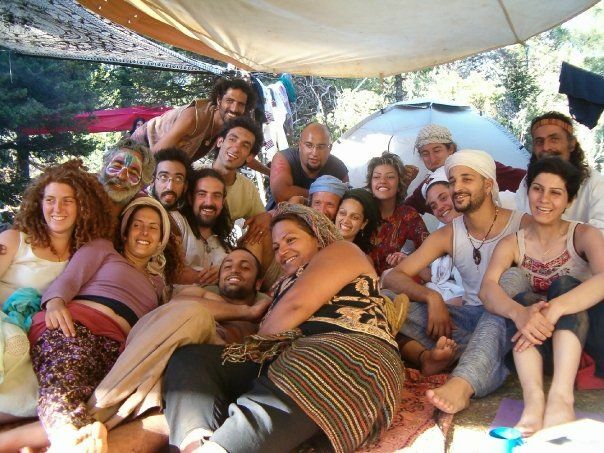 From our stories and my music to our shared dreams together we gave birth to our first Sulha Day gathering in 2001. We celebrated Chanukkah, Christmas, and Ramadan in Chan Amirei Hagalil. It was a deep and heartfelt encounter. We, Jews, cooked the "iftar" breakfast meal of Ramadan and Christian and Muslim Arabs lit our Chanukkah candles after a moving "listening circle" that lasted the whole day." At our first gathering, we had 150 adults and 15 children. We continued in 2002 at Chan Amirei Hagalil, with the celebration of the "Kidush Halevanah" (moon sanctification) with 600 adults and 75 children. By then, we had added prominent settlers Rabbi Menachem Fruman z"l and his wife Hadassah & South African Zulu peace leader - John Sithole Qhuzulini - as honored guests to our gathering. In 2003 we were offered an olive grove near the village of Mghrar by Mahdi Serhan, one of our community members, and held our annual gathering for two days with 1500 participants & 150 children. We invited the silent peace walkers of Shvil Hazahav (Middleway) to join us. In 2004 we kept moving South towards Jerusalem, out of the Galilee, to Park Shuni, near Binyamina. The Bereaved Families' Forum was invited as a core partner to our gatherings, and they participated in every one of our activities since. 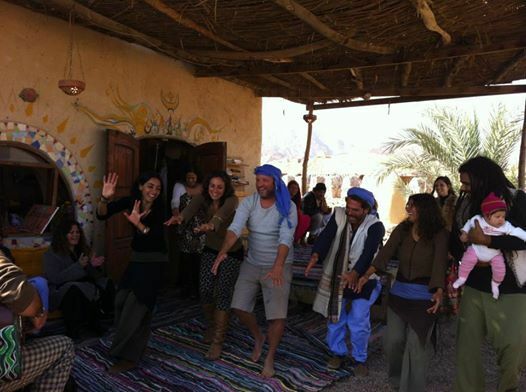 We also hosted 200 Palestinians and 40 Jordanians within our midst.. for the gathering. In 2005 we started the Sulhita Youth Project, including our newly developed Palestinian relationships and held our fifth annual On the Way to Sulha gathering in Park Mekorot Hayarkon, Petach Tikvah with 6,000 adults and 600 children in the midst of the turmoil of the "Gaza Disengagement". We also started bimonthly gatherings of the Sulha Family - 30 core members and staff of all our programs this is a sort of lab where we experiment with new ideas and strengthen our bond as a team. It is also an opportunity for new members to join. In this year, a board of directors for the Sulha Peace Project was created and Ihab Balaha joined the executive board of the Sulha Peace Project. In March 2006, we held our first Local Sulha Day in Jaffa with 600 adults and 100 children in attendance, empowering businessmen, artists and neighbors of Jaffa to share their wisdom, conflicts and hopes.We also had our second youth Sulhita Youth Gathering in Chan Maalei Shacharut in the Arava Desert. 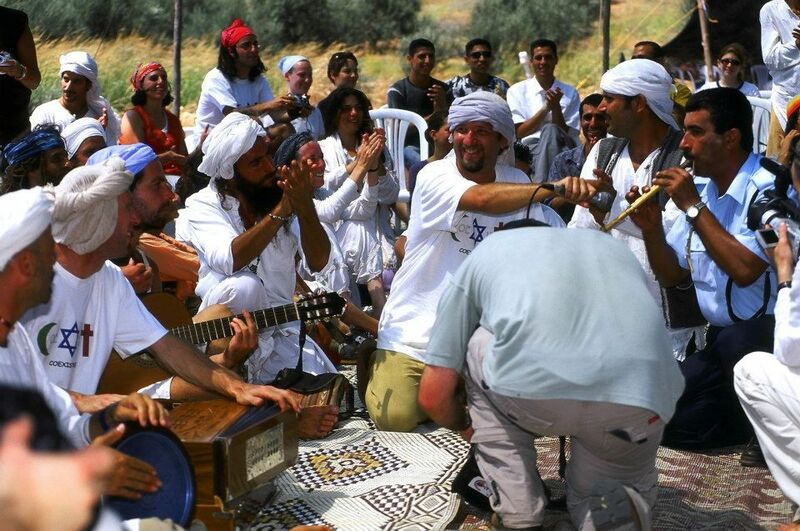 In August 2007, we held the 6th annual On the Way to Sulha gathering in the olive groves of Latrun Monastery and Sulhita at Chan Derech Habesamim. In 2008 we held theseventh annual gathering and more sulhita youth gatherings and in the beggining of 2009 gabriel handed over - after 8 years - his role as director of the Sulha Peace Project . Morning: "Heart opening" of deep trauma, pain and hopes at a personal level in the listening circles. Afternoon: Experiential and theoretical workshops as tools for melting the ignorance of each others' culture at a national, religious and ethnic level. Sunset: Interfaith prayers and rituals rooted in the different monotheistic traditions.Evening Arts, Music and Dance: Integration of the emotional and intellectual dimensions experienced during the day. Celebration of our two peoples through the Arts as a means of healing and transformation. "Because of the highly volatile conditions in the Middle East , we are aware that all our highest plans have to remain flexible enough to be possible. Nevertheless, our direction points towards Jerusalem . Our intention is to create a "spiritual security council" for the sacred Old City of Jerusalem. This council would be composed by spiritual, cultural and prominent figures from: Academia, Sports, Arts, Business, Clergy and Statesmen of the global community and representative members of the old city of Jerusalem, to take responsibility for the healing of Jerusalem . Jerusalem would serve as a model for the resolution of other ethnic, racial and religious stress points and conflicts of the Planet." "The phrase on the 'Way' to Sulha means that we are creating the conditions for the ultimate Sulha, which marks the end of conflict. Jerusalem is the chosen location for the ultimate Sulha. We will keep checking reality until it allows us to manifest our vision. Zooming in closer and being even more courageous, we foresee the actual Sulha preceded by a three week "nomadic peace caravan". This caravan would pass through Arab and Jewish villages, pitching a tent in between them and inviting locals to join the Sulha in Jerusalem." "The moving caravan would continue to grow until it reaches the "Holy Old City ". This would be the last station, and it will surround the meeting of the "spiritual security council" by Israelis, Palestinians and internationals in a massive Human gathering around the Wailing Wall, the Holy Sepulcher Church and Al-Aksa Mosque." "Our power grows when each one of us takes responsibility and does not delegate the design of reality to political leaders and the media. If we get to be a critical mass of people, who embody the way of peace, our life in the Middle East will look very different beauty and creativity beyond imagination." "N'shalla" (God Willing), we will bring comfort to Jerusalem. An event like this can have great influence. Its echoes could be heard and felt around the world: Africa, Europe and even the Far East not only humans, also trees, animals and angels might feel this.I am optimistic that in the near future, most people will accept the fact that our two peoples have to live in the same land - "the Land of the Prophets" and our destiny as the inheritors of the "Chalil" (friend of God) - Abraham, Sarah and Hagar is to share light, loving kindness and harmony with the world. With the Holy One's help, light will come out from Jerusalem and we'll serve as an inspiration to the whole world." gathering meeting in the mountains of Turkey mostly . He then further developed the connections with the Iranians & Israelis through "The Blend" in San Francisco for Israeli & Iranian musicians...out of which material came out for 2 of his songs in The Human Project. As part of his continued trips to Sinai, met over the years with concious creative activists from Tahrir revolution in Egypt out of which the track & video : Children of Liberty was born. Israeli artists answered the call to support the Egyptian creative family.